“What to do with cherry tomatoes,” I found myself muttering last summer. I had loads of them! So I got out the dehydrator and turned a bumper crop of sweet, red fruit into the tastiest dried tomato snackin’ bites. Yum! 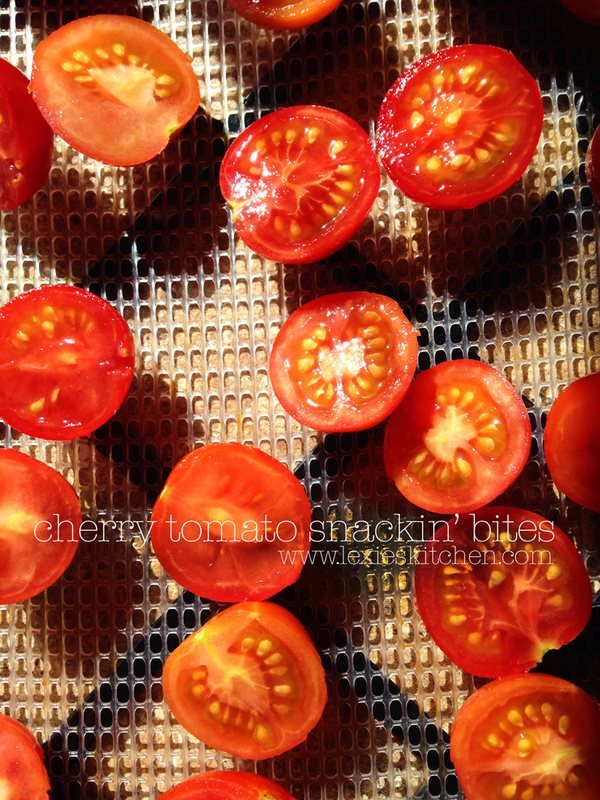 “What to do, what to do … with all those cherry tomatoes,” I found myself muttering. And so I went Googling for ideas and came across gobs of folks who simply cut them in half and dehydrate them. So, that is what I did … and they are delicious! Totally perfect for a grab-and-go sweet and savory “sun dried” snack. There’s no recipe really, just wash, slice in half, place halves face-up on dehydrator trays and dehydrate until dry. Store in an airtight container in your refrigerator. So there! 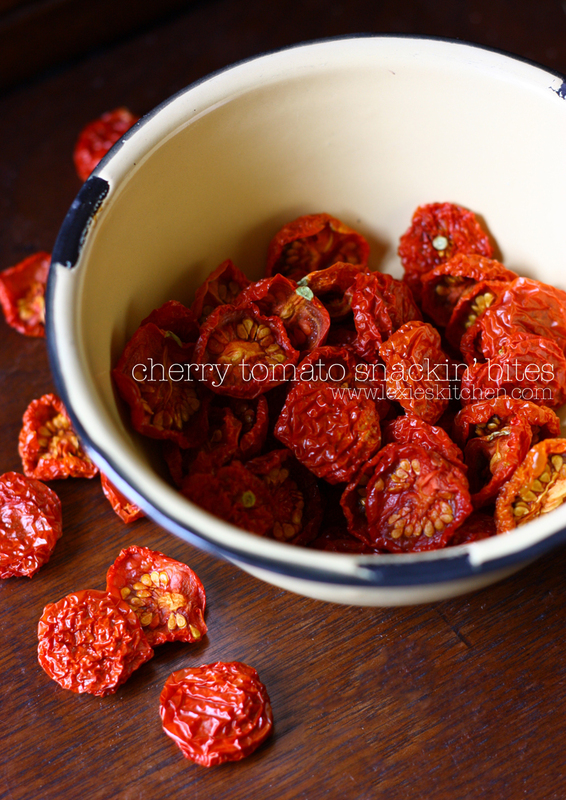 If you’re drowning in cherry tomatoes like we were, give dehydrating a go! You’re in for a real easy and real healthy snack making experience. Great post, love the pictures. Thank you. Excalibur dehydrator, set @ 120 degrees … works.